I've noted that russian translation of the protagonist's name in the description of the game is wrong. Original name is Jonathan Reid [ri:d], while in russian version it's spelled as "Рейд" [reid], correct translation would be "Рид". It would've been nothing if there is voice over to cover that, but since there is going to be only text translation, the difference in main character's name pronunciation and writing would create a frustration (in fact it already started a holywar in russian fan community). This error could occur because the translation team never actually heard how the names of the characters are pronounced in original. I understand that the game, including it's translation, is yet incomplete, but please look into this before the release. Sorry for my English as it is obviously not my native language. @iyagovos I thought so too, however I've noticed that two texts I reported above are already fixed, while the community hub description is not. Thanks! @iyagovos Ok Speaking of game desc in Steam, could you please also fix BB-codes in description body? I've noted that on the official site you have almost all texts translated to russian, however some were not and others are either broken or used bad grammar forms. Allow me to help you find and fix these tiny, yet irritating mistakes. Top left has untranslated "SHOP" button (should be "МАГАЗИН" in russian). Top right has untranslated release date "SPRING 2018" (should be "ВЕСНА 2018"). Clicking the SHOP tab leads to a preorder page, where the name of dr Reid is misspelled with the same error I reported before (it is "Рейд" [reid] while should be "Рид"). 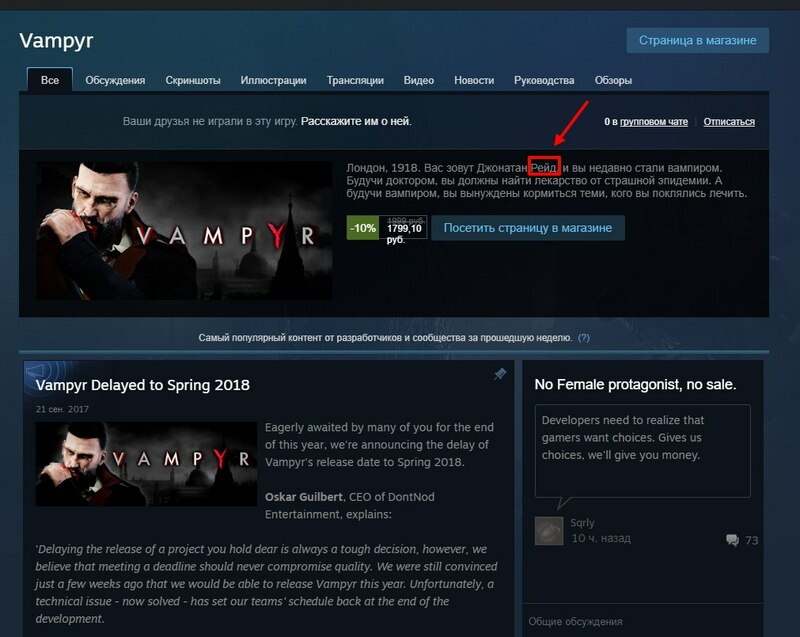 On the bottom of home page there is a button for preorder with text "ДОСТУПНО SPRING 2018" - the date should be translated. And it reads as if the preorder will be available in spring 2018, not right now. Correct text would be "ИГРА ВЫЙДЕТ ВЕСНОЙ 2018". Clicking the SHOP tab on top also brings the preorder menu, but this time the date is translated. Still, the issue from #4 persists. I've passed this on to the team, I believe they're taking a look at it today.